.LK is the Internet country code top level domain (ccTLD) for Sri Lanka. They give much stronger SEO signals for geo-targeting. You can register a .lk domain name if your favorite .com is registered by someone else. You need a Domain Name + a Web hosting account in order publish you website to the internet. 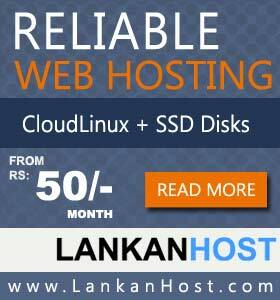 LankanHost provide .lk domains for sri lankan clients. We register your domain name under your name. You can change DNS values such as CNAME,MX, A Records by using cPanel advanced DNS editor. How do I register a .LK domain name? Please use the above form or use our online order form. You can check the availability of your domain name. Then fill the order form and inform us after the payment. So we can register your .lk domain name within 1-3 days . What happen if I forgot to renew the .lk domain name? .lk domain name expireation process. This happen when the domain name has not been renewed by the owner before its expiry date. Then it goes to RENEWAL GRACE PERIOD. This piroid is 14 Days. You can still renew it in RENEWAL GRACE PERIOD. Your website will not visible in the internet in RENEWAL GRACE PERIOD. So we recomendeed to renew your domain before the expiration date. Can I rename my .lk Domain name later? How long do you take to register a .lk domain name? 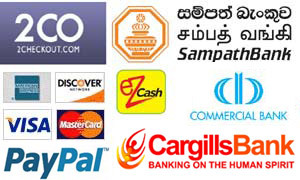 We usually register your .lk domains within 1-3 days after the payment notice. Can I register .lk domains for multiple years? Yes. You can register/renew your domains up to 10 Years. Please contact us for pricing. How do I manage .lk domain name? You can manage your .lk domain name from cPanel advanced DNS editor.